Why is Warren's college plan a threat? Beyond fact-checking: After the catastrophic media failure of 2016, the press must master "crucial evidence"
The media failed disastrously during the 2016 presidential election. The only questions, really, are how and why — and what can be done about it. This is especially urgent as President Donald Trump, with his repeated attacks against the press, only threatens to make matters worse. The problem can be thought of in a threefold way: First, issues virtually disappeared from the campaign. Second, the resulting overemphasis on personality and politics was badly skewed toward controversy and sensationalism, which strongly disfavored Hillary Clinton as her emails got far more sustained and prominent attention than Trump’s much more varied range of serious problems. Third, although fact-checking flourished as a media subgenre, it utterly failed to protect American democracy against a pathological liar with authoritarian ambitions who was able to deflect attention repeatedly without ever answering fundamental questions. Without such a model, the media relied instead on a confused notion of “balance,” which “misled them time after time,” Berkson said. If Trump was visibly terrible, “balance” required that Clinton be terrible too, regardless of whether they were actually comparable. Berkson’s background is in the philosophy of science. He was a student of the legendary Karl Popper — famous for articulating the crucial role of falsifiability in science — and has written about how social science can be made as rigorous as the physical sciences. His notion of policy-checking builds on that foundation: If social science can be made that rigorous, then policies based on it can be as well, and journalists can benefit from a policy-check resource, just as they now benefit from fact-checkers. Beyond that, if policy-based reporting can be made, it becomes more likely that it will be done widely and well. The more that happens, the more reality-based attitudes and values will tend to rub off on everyone involved — journalists, audiences and politicians. It’s not a magic cure. There can be no single silver-bullet remedy for a sweeping systemic failure. But this idea could play a crucial role in helping to tip the balance moving forward, and altering the whole system of how journalism is done — moving it in a positive, empirically grounded direction, directly opposed to the disintegration epitomized by the rise of fake news. If that is to happen, the idea needs to be more widely known, understood, critiqued and refined. That's why Salon reached out to Berkson to elaborate on his concept: its foundations, possibilities and requirements. This interview was conducted by email, and been lightly edited. Given that the media failings in the 2016 campaign are painfully well-known, I'd like to begin by asking you to explain your model and what makes it uniquely powerful. You’ve said that it “involves the identification of crucial evidence.” What is "crucial evidence," and what sets it apart from other kinds of evidence? It’s important that while crucial evidence refutes the contradicted theory, it doesn’t prove that the confirmed theory is right. The next swan might be green, contradicting the theory that all swans are black or white. This asymmetry — that refutation is logically stronger than confirmation, and that confirmation is not proof — turns out to be critically important in social science and for evaluating social policies. Can you give us an example from the history of science? In my first book, I wrote about the discovery of radio waves by Heinrich Hertz. At the time, there were two rival viewpoints. One thought that the influence of electricity and magnetism on distant objects was instantaneous — action at a distance. The other theory said the forces take time to travel through space. When Hertz demonstrated the electromagnetic waves, radio waves, with a finite velocity, it ended the debate. Hertz’s effort was a "crucial experiment," but there are crucial observations of what is happening naturally, without any experiment. This is important, as reporting what you observe is at the heart of journalism. And crucial observations follow the same logic. The most famous one, a hundred years ago, refuted Newton’s theory of gravity, and confirmed Einstein’s. Einstein’s theory predicted that the sun’s gravity would bend light rays passing near it. Eddington figured out that during a solar eclipse he could see the stars close to the sun, and they would appear shifted from their positions in a way he could calculate from Einstein’s theory. The stars did appear to shift as Einstein’s theory predicted, and in contradiction to the predictions of Newton’s theory. You've written elsewhere about the widespread failings of the social sciences to employ this model, and develop testable theories. Could you say a few words about that problem, and why it need not persist? Many have argued that because of the complexity of society, it is impossible to identify plausible testable theories in social science. However, they assume that social theories have to fully predict the evolution of a social system to be testable. For testability, as I wrote some years ago, it is enough to identify patterns that exclude some possibilities. My wife, Isabelle Tsakok, a development economist and also a former Popper student, took up the challenge of identifying such patterns in economic development. In her book, she showed that five conditions are necessary for poor countries with traditional agricultures to transform into modern wealthy economies. She was able to document that all now-wealthy countries, including the U.S., met the conditions during their transformations. The conditions are not sufficient, as some countries have fulfilled them and still not succeeded. So the pattern doesn’t fully predict what will happen if a country does fulfill all the conditions. But because the conditions are necessary, vital to broad-based economic growth, the theory still has huge policy implications. You say that the analysis needed to identify crucial evidence is sometimes accessible to journalists, and you cite as an example the fact that tax cuts have never paid for themselves in U.S. history. Yet, we continue to hear claims to the contrary. What is that evidence? Why does this qualify as "crucial evidence"? It is crucial because the charts go clearly and unequivocally against the claim that U.S. tax cuts have ever paid for themselves, and confirm the claim that cutting taxes reduces total revenues. Those who argue for a Reagan miracle on taxes are often dishonest, for example counting tax dollars from the increase in Social Security taxes as revenue gains from the cuts in marginal top rates! Sorting out the reliability and true implications of the evidence often takes experienced professionals. It’s one reason I think a new organization is needed with staff devoted to this. You give an example of how this evidence could have been used during the campaign. Could you describe how? You also say that crucial evidence exists regarding the role of government in the economy. What is the nature of that evidence? What does it say that it's so little known or noticed, given how important it is? The five necessary conditions for economic transformation that Isabelle documented require governments to sustain major investments over decades. These are investments in public goods and services such as education, infrastructure and research. History shows that no country has ever become wealthy through small government, laissez-faire policies, as urged by Republicans since Reagan. And as I wrote recently, a spate of recent books has appeared since 2008 showing that if you look at long periods — decades — government leadership through investment and regulation has always been a driving force in continuing and broad-based growth of developed economies — in opportunity for all. In looking at these books, I’ve come to the conclusion that to spot crucial evidence, longer historical periods than the business cycle — periods of decades — are extremely revealing. I really think these books are an important breakthrough, and I’m trying to call attention to it. How would a policy-check organization help to improve things over what we saw in this election cycle? First of all, for the public? 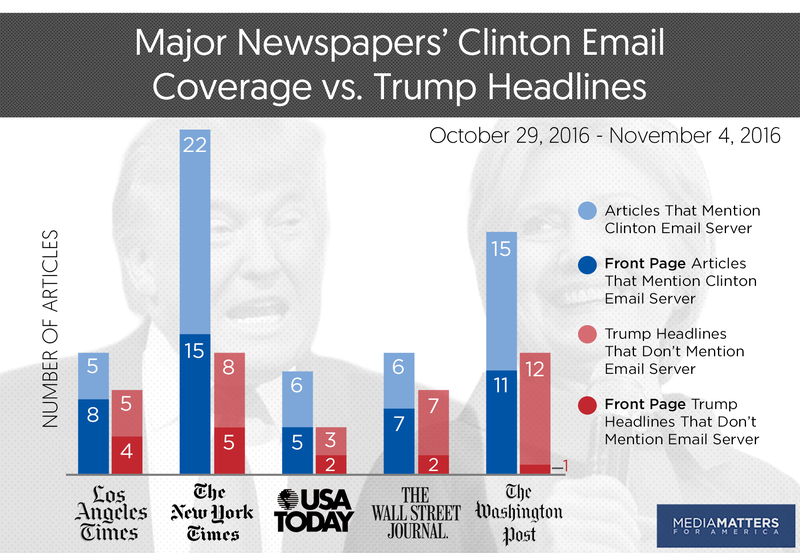 The press failed catastrophically to inform the public well in the 2016 presidential election. The newspapers and TV stations that aspired to be objective followed a disastrously wrong idea of “balance.” Balance was interpreted as equally negative stories against both sides. But in fact, this false kind of balance is not objective or fair to the public. The characters of the candidates were portrayed as equally horrible, when the objective truth is that one was a normally flawed politician and the other by far the most ethically challenged in living memory. As a result of the "negative both-sides-ism," the impact of the ethical horrors of one candidate was neutralized. Further, the emphasis was on “horse race” stories, which don’t inform the electorate about the quality of either the candidates’ fitness for office or their policies. 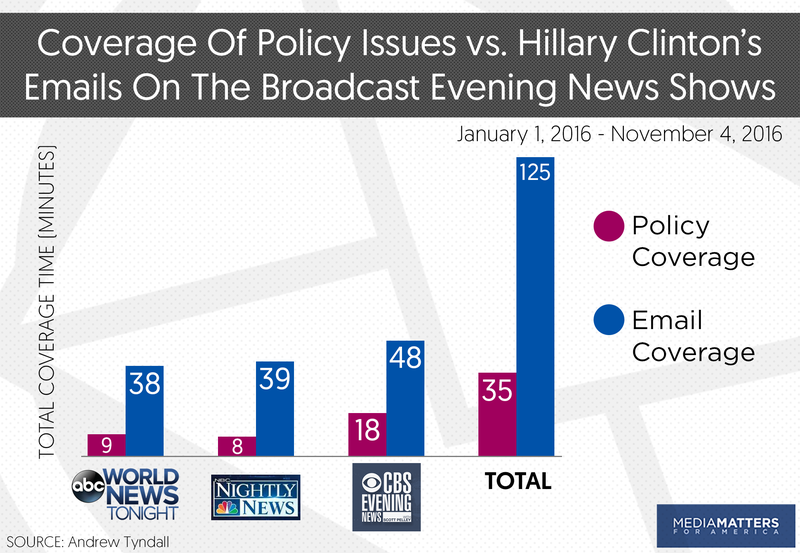 Policy coverage was reduced to a mere 10 percent of coverage, and it was primarily reporting on evidence-free name-calling. Further, insofar as evidence was reported, on Trump’s side it was largely false. A policy-check organization would not guarantee better coverage, but it would encourage it and make it much easier for journalists to inform voters on the merits of the contending policy proposals. How would it improve things for news organizations? News organizations have talented writers who care passionately about public events, and can write emotionally compelling stories. But to cover policy issues well, they need focused, pointed and reliable summaries of the issues and key evidence. Having access to a briefing book that objectively summarizes the debate and highlights key evidence will make the job of covering policy issues much easier. With this in hand, journalists then convey how the issues make a vital difference to the lives of readers and viewers. And they can portray the policy debate in an emotionally compelling way, and they can increase the current amount of policy-based coverage from only 10 percent to between one-quarter and one-half. How would it improve things for social scientists? Currently in the social sciences, much research is devoted to looking for correlations that confirm a viewpoint. Because of the logical weakness of confirming evidence, many conflicting policies are supported, but weakly. A briefing book that focuses on crucial evidence as the most important will push social scientists to meet a higher standard of rigor. In this way, experts will be pushed to get more informative and useful evaluations of policy, and new policy ideas will be stimulated as well. How would it improve things for politicians? Politicians are responsive to press coverage, as the press plays a key mediating role in communication with the public. As it is now, the policy debates are extremely poor, even when policies are good. As a result, politicians can get public support for bad policies that financially benefit some individuals while hurting the prosperity of the country as a whole. When guided by better information and evidence, the press can better communicate the policy debate and evidence to the public, it will lift the quality of debate by the candidates, and eventually the policy proposals themselves. Do we need a new organization specifically dedicated to this task? For democracy to work well, the press needs to inform the public about the merits of policies and about the candidates’ fitness for office. But currently, commercial pressures act strongly against this goal, and particularly against coverage of policy issues. Novelty, sensation and personal stories are easiest to make emotionally compelling, and so to attract audiences and dollars. Policy proposals can be made emotionally compelling, when people are shown how policies change their lives for the better and worse. Currently, most reporters don’t have the basis of expertise to take the next step, to write emotionally compelling stories on policy. And given that print newspaper staffs around the country have been reduced by half [or more], it seems unlikely that those with expertise are going to be hired for this purpose, and given sufficient working time. So a new organization, with either nonprofit or tax funding, or both, is needed. While crucial evidence is best, it’s not always available. That doesn't mean we're totally in the dark. You've proposed that a policy-check organization could provide an online briefing book that includes at least four types of information. The first is current evidence on the successes and shortcomings of existing policies. The biggest missing piece has been positive stories on the benefits of existing government policies. The failure of the Obama administration and the press to report the success of both the stimulus and the Affordable Care Act has been devastating. In general, the overwhelmingly negative bias of reporting has, as Thomas Patterson of Harvard’s Shorenstein Center has noted, served to sell the right-wing message that government can do no good. Second, identification of where there is crucial evidence, and where debate is still open. I would like first of all to see reported the crucial evidence on the success and failure of different government programs. It would refute the small-government ideology, for a start. On where the debate is open, an example is health care. Third, reports on the arguments on open issues and the relevant evidence. To have comprehensive health care, a strong government role, including subsidies for the poor, is necessary. But whether government-run health care — single-payer — or a heavily regulated private insurance system with subsidies is best is not clear. There are in Europe successful health care systems following both models, but all systems have their drawbacks. I would like to see an objective review of what is working and not, and how well. This would include expert opinion. What do you see as necessary to make such an organization function as intended? What kind of funding, oversight and sponsorship do you envision? To succeed, it’s going to need people with serious expertise in public policy, to be seen as objective, and to keep to the standard of valuing and reporting crucial evidence. On the expertise, the staff won’t have to do all the work, but they will have to be able to commission and to judge such work from other experts, and to judge its quality as being objective and in-depth. They will also review online feedback and incorporate it as needed. So I think the organization needs to be a nonprofit, funded by people with deep pockets. It could also be partly funded by the government, like PBS, but this won’t happen now.